My plans to have the kids in bed early tonight was foiled by someone casing our house . First he knocked quietly, then returned 40 minutes later and rang the doorbell. He started to walk down the street then turned around and came back to our house. I called 911 and three deputies arrived after I stressed I have two small children. They found the man but said he was “soliciting” tree service and told him to leave the neighborhood. Still suspicious to me that he is on foot, no vehicle and soliciting a business in baggy jeans and a ripped t-shirt at 8:30 at night. I highly doubt that I will get any sleep tonight. I strongly believe that you need to be your own health advocate. My family physician has roughly 1,000 patients so as much as I think she’s great she doesn’t have the capacity to research and investigate each patient’s issues. Last week after the ENT told me that I more than likely have Meniere’s disease I started researching online. There is no cure for the disease but several things a person can do to treat the symptoms. I also spent time researching several cases studies online about the disease. I talked to Brian and told him that I could handle hearing loss and tinnitus but I can’t handle the vertigo. In addition to the low salt diet I found several online forums for people with Meniere’s. There is a list of natural supplement’s referred to as the “John of Ohio” Meniere’s regimen. I’ve started taking a few of these supplements in hopes of some relief. In several of my online searches of case studies for Meniere’s disease I found Upper Cervical Chiropractic care was beneficial to people with Meniere’s. This is totally different from traditional chiropractic as it does NOT involve twisting and popping. You can read the article HERE. I’ll start with a study from the Journal of Orthopaedic & Sports Physical Therapy 2000; 30 (12) titled Cervicogenic Dizziness: A Review of Diagnosis and Treatment. Here is a quote: “Cervicogenic dizziness is most often associated with flexion-extension injuries and has been reported in patients with severe cervical arthritis, herniated cervical disks, and head trauma.” In other words, with a head or neck trauma your neck can misalign and cause dizziness. Another study by Bogduk, a well-known chiropractic author of many studies reported that monkeys injected with anaesthetic into dorsal roots of upper cervical vertebrae to C3 had balance problems. 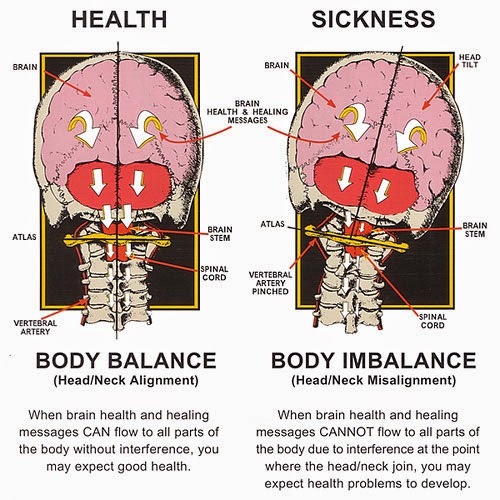 In other words, the nervous system in the upper neck is highly related to our balance. The medical community currently believes Meniere’s disease is caused from an overproduction of fluid in the inner ear. That could very well be the case too. I found a handful of recommended doctors in Florida who specialize in Upper Cervical care. Luckily one is only one hour away. I had my consultation with her last week along with x-rays of my spine. This was so informative and I’m thankful that I found her! My spine did indeed show previous trauma. My spine is not curved like a normal spine. My spine is straight. My axis is turned up and to the right and the vertebra below is twisted left. So many indicators and the right side of my body is the most reactive – I’m not able to turn my head to the right as easily as the left. I’m not able to lift my right leg up as easily as my left…little unforeseen things until you really put it all together. The adjustment was light pressure behind my ear to the point that it felt as though she didn’t do anything. Once I stood up she retested a few things with amazing results. For instance there was a knot in my lower back that was gone, the brain fog I was experiencing was gone and 10 minutes after the visit I felt the affected ear draining. I will have to go for a couple visits a week to start off with until my body trains itself to stay in the proper alignment but good results so far. Feeling very optimistic. During my second visit to the chiro she asked if my doctor had ever mentioned Bell’s Palsy to me. She stated that my left eye droops as well as the right corner of my mouth. I indicated to her that my doctor hasn’t but a year ago when I was under a lot of stress Brian and I started to notice the eye droop. One more thing to mention to my doctor on my next visit. You have to be own best health advocate. I don’t want to be put on a bunch of medications. I want to be able to treat my symptoms naturally. Hopefully through the upper cervical chiropractic care and natural supplements I will be able to do so. I had an appointment this morning with another ENT. I was determined to get a second opinion because I wasn’t satisfied with the first ENT I visited. The Doctor reviewed my file before I arrived and after asking a few questions he stated that more than likely I have Meniere’s Disease. I didn’t tell him but when I had been researching my symptoms online several times my search ended with Meniere’s but I didn’t want it to be true because it’s a chronic condition that usually results in permanent hearing loss and continuous episodes of vertigo. He is sending me for a hearing test. I don’t know if it’s in Jacksonville or Daytona because at this point my mind was thinking a million things. He said that they are busy so it’ll probably be at least 3-4 weeks before I can get an appointment. He stated that there are a couple indicators they look for in the testing to confirm the Meniere’s Disease. In the meantime he said the easiest treatment is a low salt diet. I will see him again in 4 weeks for a follow-up and finish my last physical therapy session this week. He stated that people get results from the low sodium diet and worst case scenario I will need injections in the ear or surgery. Chronic…I hate that word. The dizziness is horrible and I hate to think that I now have a chronic condition to live with…aye! Hoping the low salt diet will provide some relief. Best Wavesailing in Months at Rmp 38, Avon! Wow, we scored yesterday with some excellent wave sailing conditions at Rmp 38 just south of Avon! Warm water, chest/head+ outside lined up wrap surf, sunny skies, and winds averaging 25+ mph set up for one of the best days so far this year! Only a few of us caught it, and was a great call for myself as a planned afternoon off work to trek down to Avon for the score! Riding the 4.5m Maui Sails Mutant and 75ltr Quatro Quad LS provided rock star performance in the surf zone! I am new to the Mutant, but found its handling superb with effortless control, excellent low end, and an extremely balanced feel while sailing. Combined with the 75 Quad LS, it simply excelled in the surf zone! FUN time! Keith, Andy, and I were the local crew on hand, while Bertrice and Ace visiting the summer “secret season” were out as well enjoying the excellent conditions. Ken and the kite crew (Chris and Brian), also came down from upwind to end at Rmp 38. All in all, an excellent, memorable session of wavesailing fun! Now, we need a steady two weeks of similar conditions to lead up to the AWT Hatteras Wave Jam coming in Sept! If anything, I need the practice!?! Not sure if there are any photos out there from the sesh yesterday. We were all sailing, and I do not think anyone was shooting. However, if something surfaces, will update! Ah, and if you were ever wondering about the 4th of July (or this year, 5th), see this unique perspective of the fireworks display in Nags Head at the Fishing Pier! I remember seeing the drones flying during the show and thinking there would be some killer footage there! These guys captured it! This morning I had my 3rd physical therapy session. After Tuesday’s session I felt really good for the rest of Tuesday and all day Wednesday. Yesterday I felt the dizziness was a bit stronger but still a huge improvement over last week. I’m going to continue the physical therapy twice a week until the symptoms are completely gone. I’ve also scheduled an appointment with a different ENT for a second opinion due to some pressure in my right ear that the physical therapist says isn’t common with vertigo. I’ve filed for intermittent leave with work which means that I still go to work every day but when I need time off for doctor and PT appointments I won’t be penalized. I picked up the paperwork this morning that my Doctor filled out. I felt a little discouraged when I saw “Vertigo – High Chance of Reoccurrence.” This has been an incredibly hard 4 weeks for me and I can’t begin to think what life will be like if this reoccurs. I’m trying to stay positive at this point that I’m getting results from the PT and hope to be symptom free soon! After feeling dizzy all weekend and having no relief from the first physical therapy session I returned on Tuesday for my second session. I told the PT that I was discouraged since I had no relief the first time. 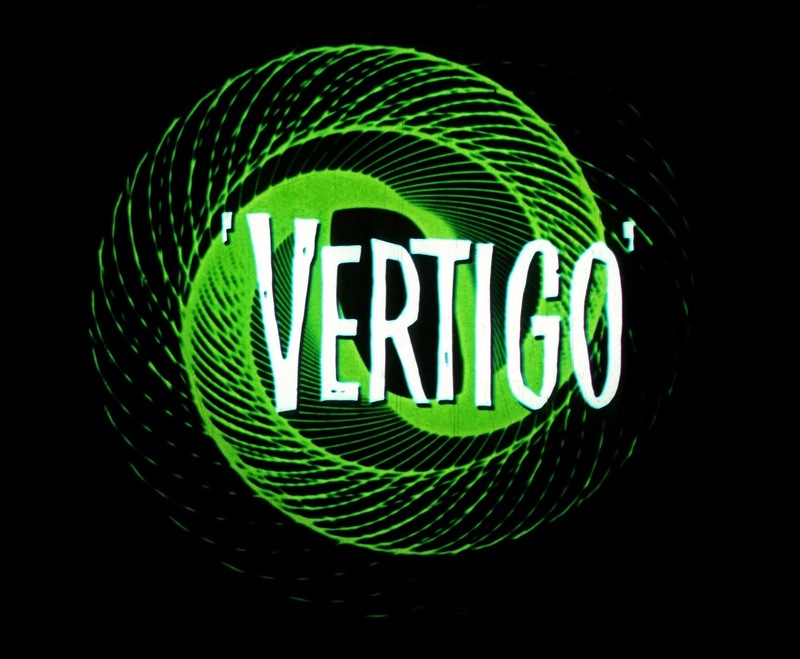 He reiterated that it usually takes 2-3 sessions until the vertigo is gone. After Tuesday’s session I would say the dizziness is reduced by 80%!! I go again tomorrow and twice a week until it’s gone. Feeling hopeful that there is light at the end of the tunnel! Stuck on Hatteras Island Courtesy of Hurricane Arthur? Perhaps, but for July 4 weekend, HI is the spot for ocean side FUN! Check out these snaps from Keith M from some SUP action on the holiday at Rmp 38. With the NE wind on tap today (Saturday), there is sure to be more FUN south side action! Damn, and with Rt 12 out, I am gonna miss it….bummer! As for progress on Rt 12 recovery, see the NCDOT Facebook page for most recent updates/feeds/photos. From recent posts, looks like they are progressing nicely. Hopefully all will be back to normal on Pea Island for the forecast Bermuda High setting up this coming week?! I had my first physical therapy session this morning. They had me do several exercises that really amplified the dizziness and at times brought me to tears. They ended the session with head positioning to help the ear crystals move back in place. I have exercises to do at home and have another session on Tuesday. They said that it usually takes 2-3 sessions before the vertigo is gone. The scary thing is that I feel no better after this first session…hoping the at home exercises and second session next week will work. I met with my Doctor today and she said my blood work was fine. She said since the dizziness is continuous even while in resting position that it is indeed vertigo. She said the Physical Therapy should make it go away but that it can reoccur. She didn’t schedule a follow-up appt as she is confident the PT will work. Fingers crossed! Physical Therapy called on Friday to schedule my first appointment. Unfortunately they had no openings until the middle of this week. The dizziness is still the same – no better, no worse. I don’t think it would be as bad if it were periods of dizziness but it is constant dizziness. This is driving me absolutely crazy. I hate not being able to walk without worrying if I’m going to pass out. On top of everything I’ve come down with a cold and sore throat today…aye! Thankfully I’m able to work from home the rest of this week due to Dr and PT appointments. I’m praying for results from the PT appt this week. I meet with my family doctor tomorrow to review the additional blood work she ordered last week.